1) Type in a 'Report Name' of your choice. 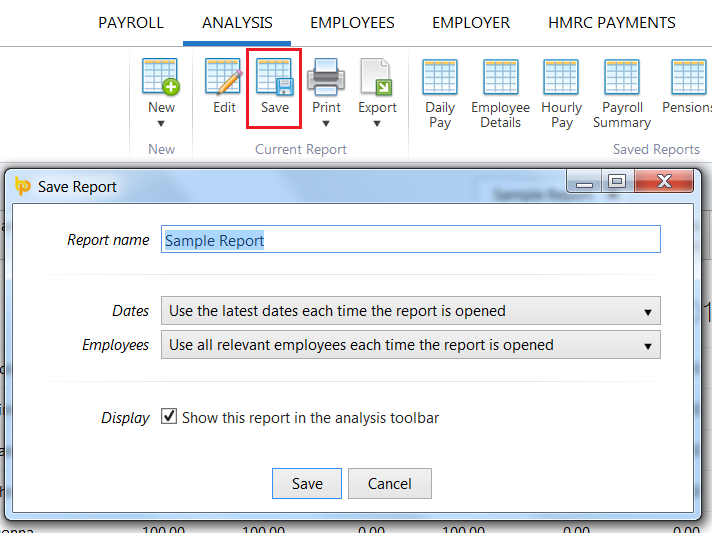 4) Should you wish to save the report to the analysis toolbar for future use, simply tick the box provided. Please note: Once reports have been saved, these can be managed at any time using the ‘Manage Reports’ option on the menu toolbar. This facility provides the option to indicate where you would like the report to show and to delete any reports no longer needed.